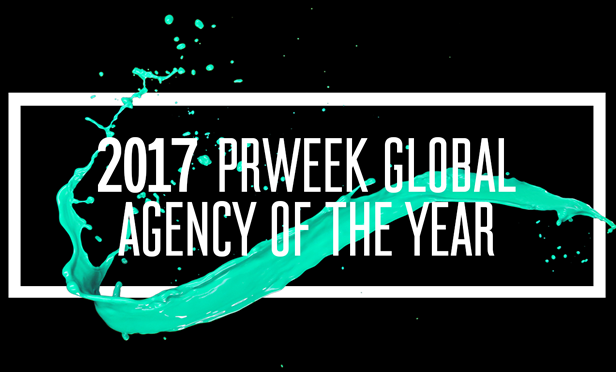 Weber Shandwick was named 2017 Global Agency of the Year at the PRWeek Global Awards in London. The honor comes on the heels of the firm’s recognition as PRWeek 2017 U.S. Agency of the Year, making this the third consecutive year PRWeek has awarded Weber Shandwick these agency honors. 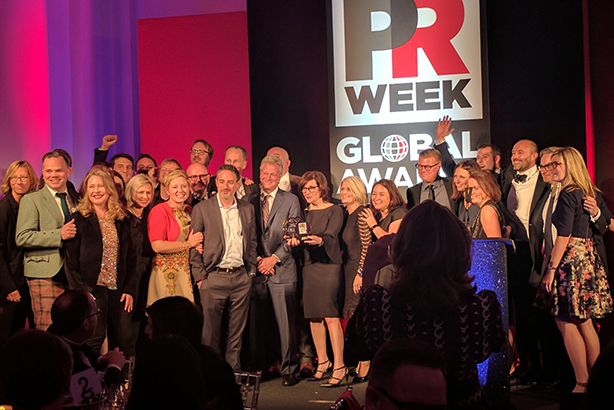 The PRWeek Global Awards honor transformative work that reflects the highest standards in building brands, establishing trust and enabling the growth of international enterprise. Ranging across 23 categories, the awards celebrate the best communications across the globe. Weber Shandwick and its client partners earned several awards for world-class campaigns across seven categories, including work with filmmaker Vibha Bakshi for the documentary “Daughters of Mother India,” which was designated Campaign of the Year and also won in both the Issues & Crisis and Global Impact categories. The firm was also recognized with ActionAid UK for the “#Brutal Cut” campaign, which won in the Non-profit category; with Pearson for “The Alphabet of Illiteracy,” which won the Corporate Social Responsibility category and received a high commendation in Global Integration; and with Sonos, which won Global PR Breakthrough for the “Music Makes it Home” campaign. Weber Shandwick has earned several industry honors this year in addition to this recognition from PRWeek, including being named an Advertising Age Agency A-List Standout and The Holmes Report’s North America Agency of the Year. The firm was also named 2016 Global Digital Agency of the Year by The Holmes Report and was the most awarded PR firm at the 2016 Cannes Lions International Festival of Creativity.